What percentage of science and engineering degrees are awarded to women in your country? How to remember the names and the order of planets in the Solar system or the geologic timescale? How to test the pH of different things at home? 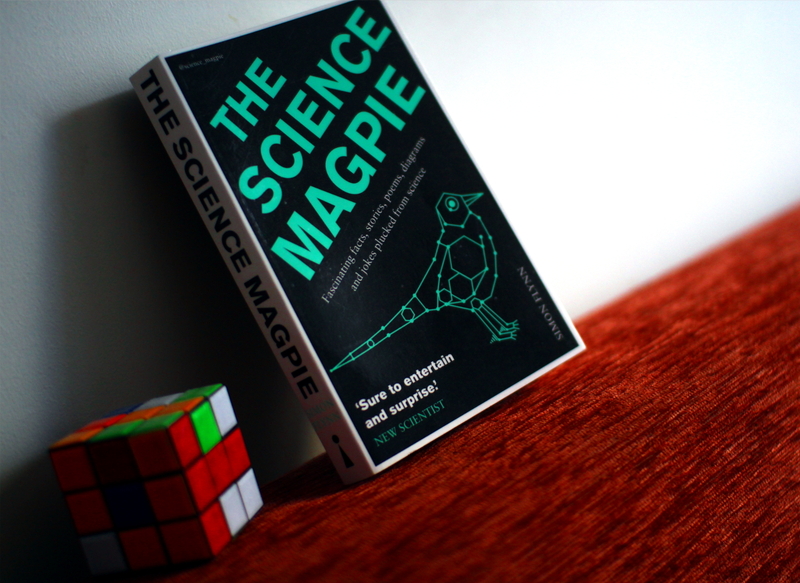 The Science Magpie is a collection of interesting facts, funny poems and other entertaining things to keep you out of the dangerous claws of boredom. But they’re not random facts. They’re all about science! It’s a very easy read, covering different fields of natural sciences. I found a lot of interesting things in there, but there are also some that one can find on the internet. Going through this book would probably be fun in a science class. If you liked this you might find Paul Parson’s How to Destroy the Universe interesting too. This entry was posted in Non-fiction and tagged book review, Simon Flynn, The Science Magpie. Bookmark the permalink.